At electronica 2018, from November 13th-16th, 2018 there were more than 3,100 exhibitors from over 50 countries who provided an insight into the electronics of the future with their solutions and products. This year, the show was the biggest electronica to date with approx 80,000 visitors from all over the world. 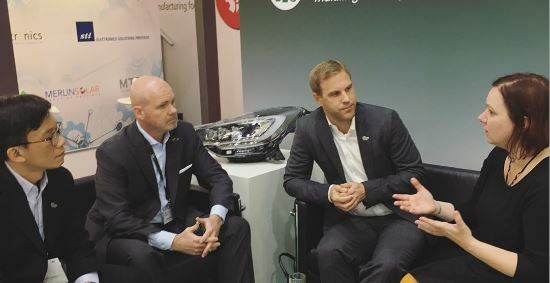 Mr. Moritz Hoeft- Managing Director (CML Europe & CML Service), Mr. Chris Minard- Director of Business Development USA/Canada (CML USA) and Mr. Stephen Mak- Supply Management Director (s-CML) shared some insights into what’s to come in 2019 with Ms. Anke Schröter, Editor in Chief (Evertiq New Media AB). Apart from our expansion in the American market, we are also adding another building block to our PCB solutions (watch interview below). You will still benefit from our previous services and customized solutions but we’re taking things to another level. CML has invested time and resources into manufacturing. Our factory is located in Sichuan. Sichuan, apart from being the home to the giant pandas and spicy cuisine, it is the second largest of the Chinese provinces with a prospering economy and opportunities.